In the spirit of the season, leading pet food brand, Webbox, has announced the launch of a new Christmas campaign designed to give back to animals in need this festive season. For the ‘12 days of Christmas’ campaign, 12 animal charities have been selected from all across the country to receive a special early Christmas present, sure to get tails wagging this December. 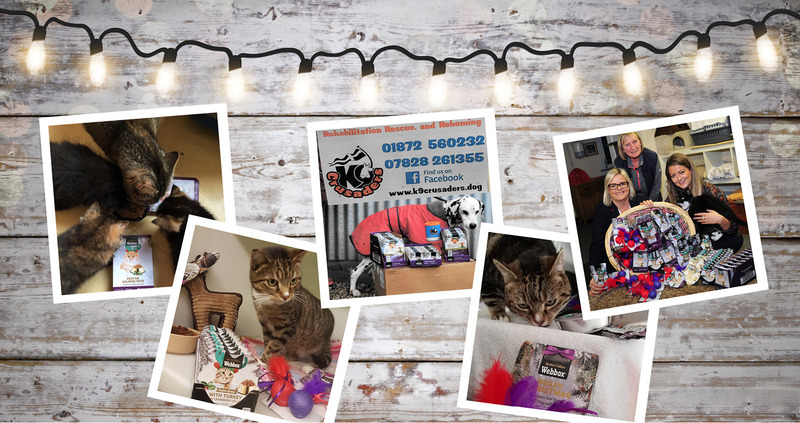 Animal charities including the The Moggery Rehoming Centre in Bristol, Animal Aid in Liverpool and Pawz for Thought in Newcastle are all set to receive Webbox Festive hampers to the value of £100. The fun-filled hampers include festive treats and toys, for cats and dogs to indulge upon this festive season. Julie Butcher, head of marketing at Pets Choice says: “At Pets Choice, we believe every animal deserves treating at this special time of year, no matter where they are spending Christmas. All of the products gifted are part of the Webbox Festive range for cats and dogs, available now from selected retailers.